Networm is a fast-paced action game with RPG elements. As a hacker in a near-future world, the network is at your mercy as you make runs on servers, syphoning off credits and building your reputation by leaking stolen data files. Spend your ill-gotten gains on better gear to run more heavily defended servers, slowly uncovering an international conspiracy and a mysterious secret project that threatens to unbalance the world economy. Great news for anyone who dreamed of being a hacker in an 80's sci-fi film (just me then?) as Networm will be releasing on Steam on 27th October 2015. Featuring significant visual improvements over the Itch.io version, along with Steam Achievements and countless bug fixes, the Steam version will be the definitive version of Cuddly Zombie Games debut game. 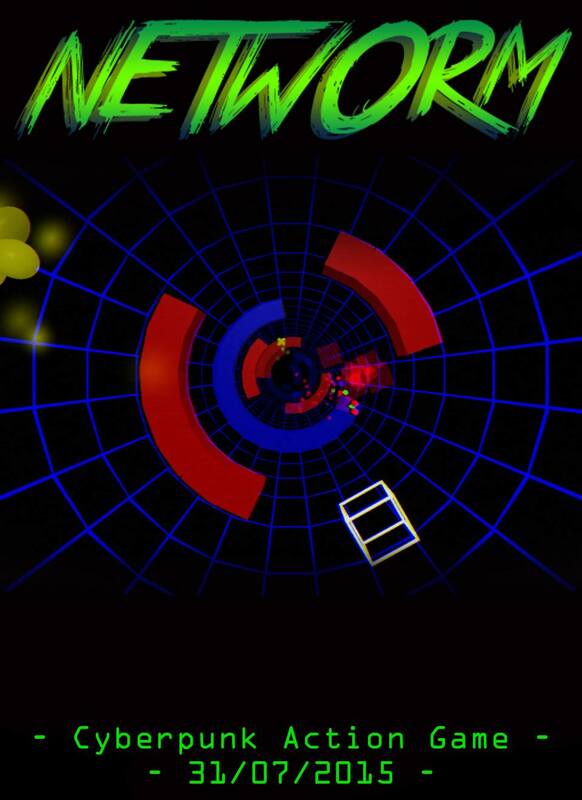 Casting the player as an anonymous hacker, Networm demands razor-sharp reflexes and quick wits as they try to navigate the treacherous connection ports, dodging or destroying hazards in their bid to reach the server root and make off with all the secret data they can fit into their memory banks! In the cyberpunk world of the past's future, the player can choose to sell or leak this data, earning either hard cash or credibility in the hacking community. Either way, these resources can be used to buy bigger and better tools, ready for more lucrative runs against juicier servers in the future. As the game progresses, the player can learn more about the world of Networm from their stolen files, ultimately uncovering a shadowy global conspiracy in the finest traditions of Cyberpunk. Can they thwart the mysterious corporation behind it all, or will they be just another also-ran in the annals of the Mothership BBS? 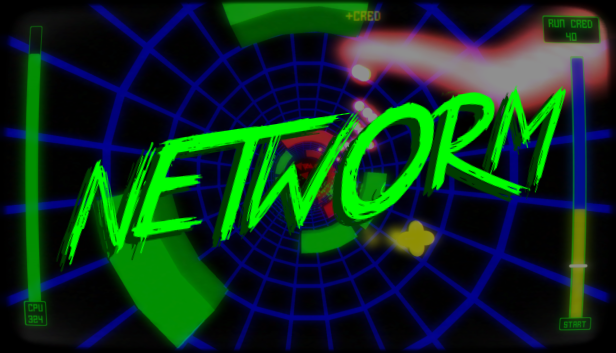 After six months of hard work, Networm is now available for purchase as an early access build. Networm will be live at Insomnia Gaming Festival, Ricoh Arena, Coventry, 28th - 31st August! Help me make Networm the best it can be, right now! Apologies to all my fellow passengers who are having to ignore me sat here picking my teeth with a folded up drinks straw, but THE RELIEF!! !